Eric Vanderwall joins Mock Crest Tavern on Thursday, January 16th, and begins playing at 8:30 p.m.
Eric first picked up the guitar in 1997, but states his journey didn’t truly begin until he attended Oregon State University in 2009 and studied guitar with Neal Grandstaff. While there his experience and learning broadened as he learned and studied different jazz styles and classical literature. 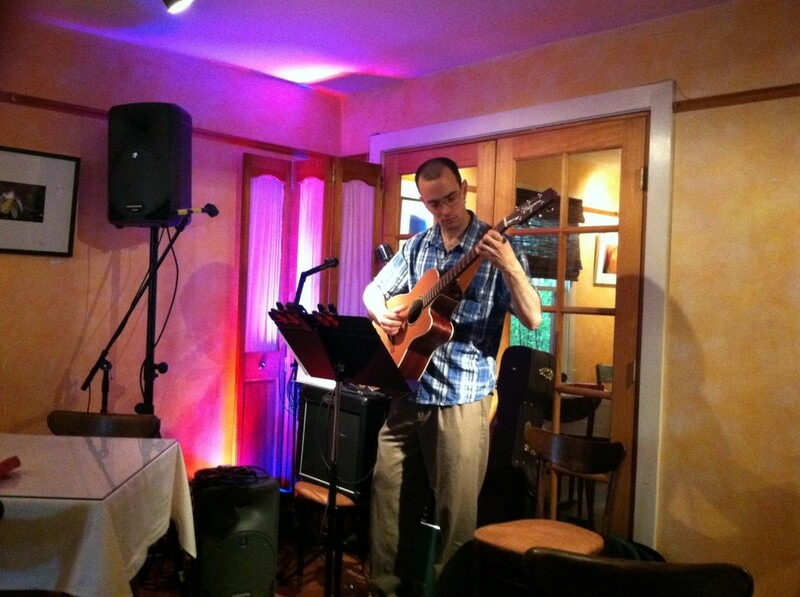 During those years Eric also studied all the styles of solo guitar music, including lute music of the Renaissance, ragtime, fiddle tunes, blues and more. I know we are into the second full week of 2014 and thought a few fun facts would be in order. And, who knows, they might help you at Quizzies! Sixty-one percent of Americans say a prayer on New Year’s Eve. No word on whether or not they are praying to wake up on time for work come New Year’s morning. Forty-one percent of American adults make plans to kiss someone at the stroke of midnight on New Year’s Eve. Not everyone is spending the first few minutes of their year kissing loved ones and dancing on tables. Twenty-two percent of Americans admit to falling asleep before midnight. Many Americans believe that eating black-eyed peas on New Year’s Day will ensure good luck in the new year. The most popular New Year’s resolutions are as follows: Weight loss, getting organized, spending less and saving more, staying fit and finally, quitting smoking. I’ll have some more fun New Year’s facts next post so stay tuned! 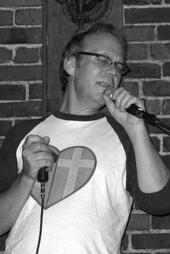 Claes Armoth of the Blueprints performs at 8:30 p.m. Thursday, December 12th, at Mock Crest Tavern. Claes, born in Sweden, grew up in the San Francisco Bay area. As he grew older, his interest in music blossomed and he began playing the piano. It didn’t take much longer before he began playing the harmonica. As an adult Claes relocated to Oregon from California, and during the 70′s continued his journey into the world of music. He began in Corvallis where he played in a jug band, a blues band, and enrolled in music classes. In the 80′s he moved to Portland. After several name and band changes, The Blueprints were born. Today, he plays in a number of bands, where he sings lead and harmony vocals; plays the keyboard, and harmonica, as well as writes and records his own music. He also plays with Johnny Ward and the Papas from time to time. Feel free to hear his music and learn more about him on myspace. Double Mountains Vaporizer pours a golden-hued Pale Ale that features a hoppy aroma and flavor. The malt is 100% Gambrinus Pilsner, a sweet and supple house malt from Gambrinus Malting in British Columbia. The company dry-hops the beer in order to pump up the goodness. It’s a dry, clean and pure-tasting take on a hoppy Pale Ale.” It offers a 6% ABV, 50 BU. Mock Crest Tavern has a great weekend planned out, and there’s never a cover charge! Mock Crest Tavern hosts a weekend packed with great music. Suburban Slim starts your weekend off on the right foot. He performs at 9:00 p.m. on Friday December 6th. Suburban Slim is a huge favorite at Mock Crest Tavern with his blues music. 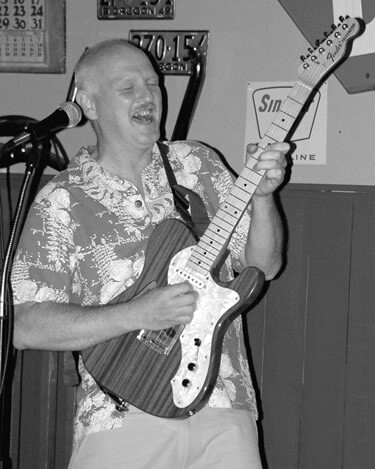 Phil Wagner (aka Suburban Slim) has played the ukulele since childhood and later learned guitar. Phil grew up in Northern California, where he recorded his first album at the age of 15. Later, he toured Oregon and moved to Eugene where he stayed for several years before relocating to Portland. Phil settled into the area and embraced the wider audience and music culture. As his music career grew, he released three Cd’s of original tunes. The Adequates perform at 9:00 p.m Saturday evening, December 7th. The band’s music includes songs from the 60′s, 70′s and 80′s. Stapleton’s vocals and guitar shine through with songs from the Stones, The Clash, and others. It’s also the time of the year where the holiday and winter brews make an appearance. Deschutes Jubelale offers a dark, malty ale with layered flavors and balanced hopping. Jubelale pours deep garnet in color, medium bodied, with notes of chicory, earth, spice and fruit. To beer lovers, it’s like Yule fire and family which warms you from the inside out! The ABV is 6.7%. Mock Crest Tavern has a treat for you! Join us Saturday night, November 16th, for some real blues and R&B with the Lee Blake Blues Band at 9:00 p.m.
Lee Blake has played the blues and R&B for more than forty years. He began playing at a young age and his love of music continued to grow. Due to such a strong blues scene, he moved to Portland in the 80’s. He performs with several bands including The Lee Blake Band, a trio, and sometimes adds players for larger venues and performances. He also plays solo performing roots music on a Regal/ National steel bodied resophonic guitar. Groove, guitars, and vocals, are his specialty and it’s obvious anytime you hear him. Rumor has it that people even dance to the acoustic performances. 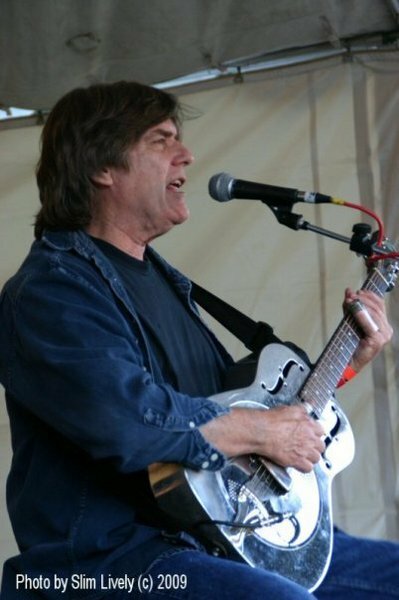 Lee also plays the slide guitar, in open tunings and for a good portion of the acoustic part of his act. For additional information and tunes visit Lee Blake at Reverbnation. For a “live” performance visit and listen to them on You Tube as well. Thanksgiving is less than two weeks away and rumor has it that Mock Crest Tavern is cooking! That special menu will become available soon, so just know they are once again taking care of their customers! Thanks to the new blog subscribers, we really appreciate your support of not only the blog, but also Mock Crest Tavern. Each and every one of you rock!